the commotion, someone yelled "pentacampeão,"
dancing, and hollering to the beat of a drum, was purely Brazilian. I tried to kick the alarm clock with my feet, but I missed. It was 3:30 am. for a minute, not quite sure what I was doing. café off Venice Blvd and oddly enough it was bustling with Brazilians. They were all crowded around small television sets on both sides of the café. feet followed the foreign sounds to their source. last game of the World Cup. of a soccer crazed culture. Brazil was in the lead, 1-0, just as I expected. from where I stood, it was "Brazil against Germany." my best to even the playing field by ordering a large coffee. ball went back and forth between the two teams. and hollering, all to the beat of a drum, was purely Brazilian. spilled over into the streets. 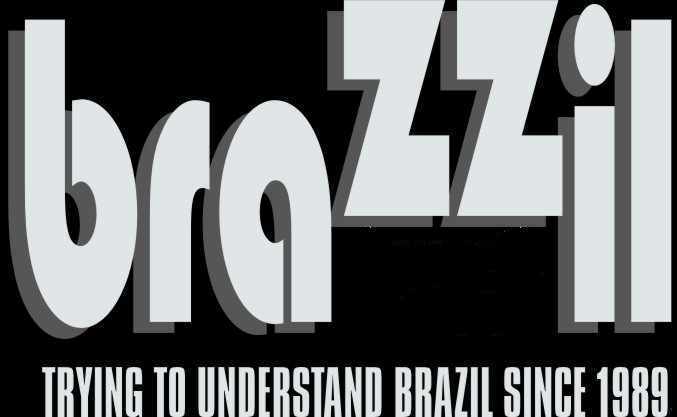 Brazilians are involved, you can bet it will get better. for making the crowd go crazy. women to reveal more and more of their cappuccino colored skin. attention, and began to tease the crowd with a little shake of their hips. ordered by the police to pull the women down. with the crowd, which wandered down the next block, in search of more excitement. I thought about joining them, but it was a school day and I had to get going. the country they left behind. Area. He speaks some Portuguese. Comments? Questions? Email him at tylrdrdn99@yahoo.com. Suddenly All’s Looking Up. What a Day for the Goldman Case! Americans in Brazil, Come November You Have the Right to Vote! Will Brazil Give Its Grandchildren the Chance for All It Denied Its Children?